CXI, 194 p., 17,8 x 24,5 cm. In cooperation with Sabine Ganz, Sabine Harwardt, Michael Oberhausen and Michael Trauth. 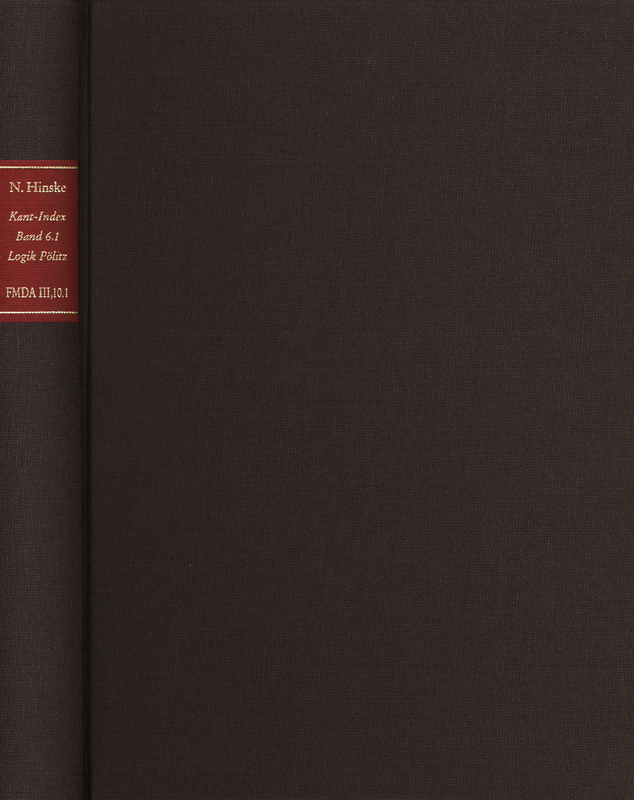 In this volume of the Kant Index, a transcript of Kant’s lectures on logic which can be attributed to the critical period of the development of Kant’s thinking has been edited lexically. Since Kant drafted his ›Kritik der reinen Vernunft‹ (Critique of Pure Reason) using logic as a guideline to a large extent and developed his transcendental logic in order to distinguish it from general logic, it is precisely this lecture transcript which provides important insight into the origins, problems and terminology of Kant’s main work.